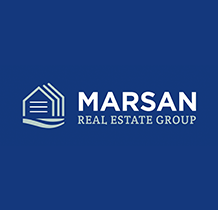 Marsan Real Estate Group became active in the real estate sectors in 1982 in Montreal, Canada. It began its activities by building houses for the niche clientele of first time buyers. Thereafter, proceeded in specializing in building luxury houses. The Company was formed in Florida in 1994, establishing itself in “strategic” locations reaching a flourishing segment of the population, whereby it could continue to offer a variety of real estate products; Starter Homes, Investment Properties, Retirement Products and Real Estate Land Developments. For almost 35 years, the company has enjoyed a solid reputation, rapid and constant growth. The Marsan Real Estate Grouphas been able to take advantage of a very rapidly expanding real estate market in Florida. In part, stimulated by several factors; very low mortgage interest rates, many retiring baby boomers and a job market in excellent shape.